With the weather report forecasting high temperatures of up to 93°F, we started early on our hike in the Deukmejian Wilderness Park. This park is another one of those lovely areas which escaped the fate of being “developed” through the City of Glendale buying the land and turning it into a recreational area. It took only a very short while to discover a patch of green, dotted with lovely yellow flowers. 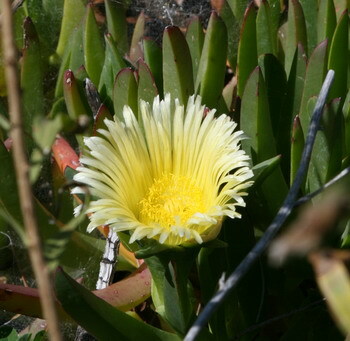 It turned out that these pretty little things are Ice Plants (Carpobrotus edulis), quite aggressive invaders. Brought to California in the early 1900s as a stabilizer for soil along railroad tracks, Caltrans was one of the companies who planted thousands of acres of it all over Southern California. C. edulis, originally from Africa, took a good look around, decided that SoCal was just the place to be and started doing what C. edulis does best – it spread. And spread. 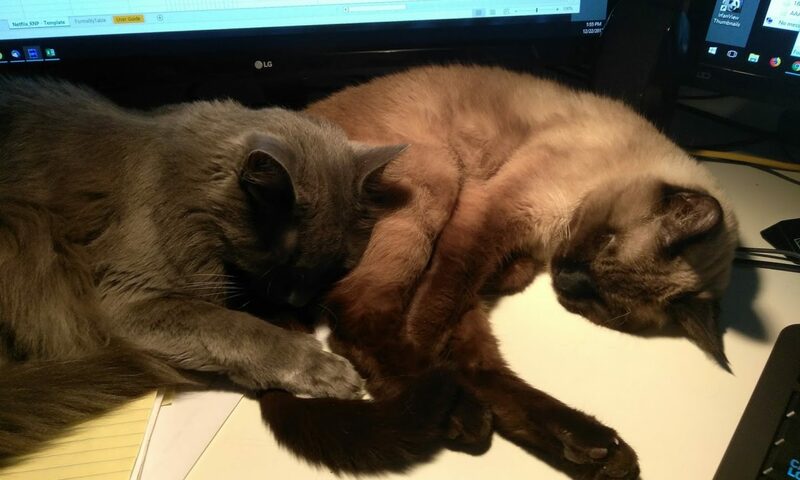 And spread some more. Today the plant has become a serious ecological problem, posing a threat to the local flora and has to be fought. 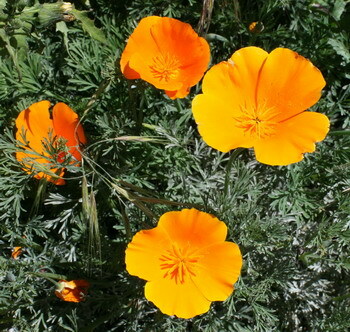 The next pretty sight was the Californian State flower, the Golden Poppy (Eschscholzia californica). Now this truly is a native plant and always lovely to look at. Not that the Ice Plant isn’t lovely, but I found it quite interesting to see two plant species only about 20 paces apart from each other – one an intruder, one a native. I didn’t know that about the ice plant. How often we screw up when we mess with nature. Yes, man is good at screwing nature. We did the same in this country with hydrilla, kudzu, and some imported fish (I can’t remember the name). Oh, oh, kudzu – that’s the stuff you can watch growing, yes? Well, just for once our climatic zone is good for something – kudzu does not like it here. Not enough rain, not humid enough; and boy, are we glad about that! We do have a certain amount of hydrilla here and there, but not enough to call it really a pest.